A collection of live recordings from their weekend services, Have It All is the 12th album by prominent worship leaders Bethel Music. Based out of Bethel Church in Redding, California, the popular CCM collective's albums have consistently been a staple on both the Christian charts as well as Billboard's pop charts. 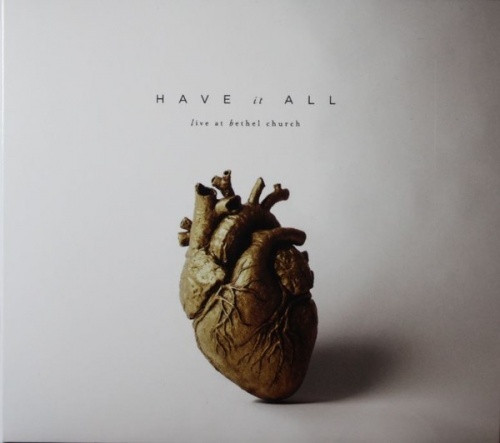 Released in March 2016 and produced by Chris Greely and Bobby Strand, Have It All features 16 songs from Bethel worship leaders like Brian & Jenn Johnson, Jeremy Riddle, Steffany Gretzinger, Amanda Cook, William Matthews, and others from the rotating Bethel roster.